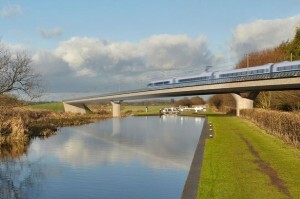 Mid Cheshire Against HS2 » What is HS2? High Speed Rail already exists in Britain. HS1 connects St Pancras International station in London with Kent, the Channel Tunnel and Europe. 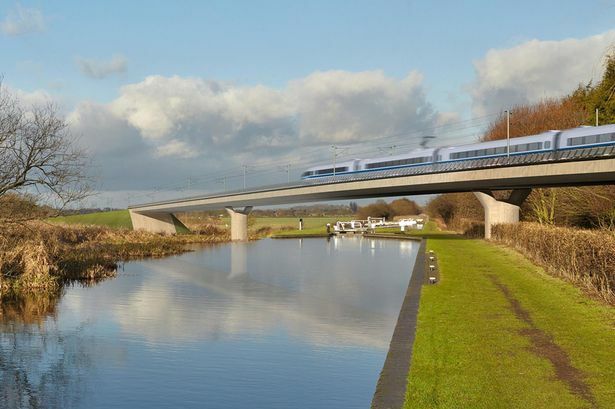 High Speed Rail 2 (HS2) phase 1 will link London to Birmingham, construction to start in 2017. HS2 phase 2 will be the western branch of the network connecting Birmingham to Manchester and the eastern branch, connecting Birmingham with Leeds. 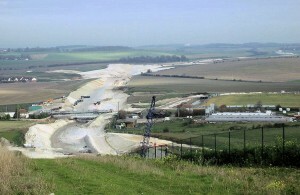 HS2 Ltd is the company responsible for developing HS2, it is owned by the Department for Transport. HS2 proposes a faster way of travel, speeds of up to 250mph and a reduction in journey times. The construction of the full network is estimated to cost circa £42 billion – more if the spur to Heathrow is included. This estimate does not include the cost of new trains or operating costs. An impression of HS2 travelling through our countryside. Looks good?